Who needs musicals when you're name-checked in Star Trek? I was watching Season 2 of Star Trek: The Original Series on Blu-Ray last night and was surprised that Singapore's former prime minister is mentioned. Sorta. Absolute power corrupts absolutely. You tell 'em, Bones. It's from the last scene of the episode Patterns Of Force where Kirk and Spock find a planet resembling Nazi Germany. The episode first aired in the US in 1968 when Lee Kuan Yew was prime minister of Singapore. 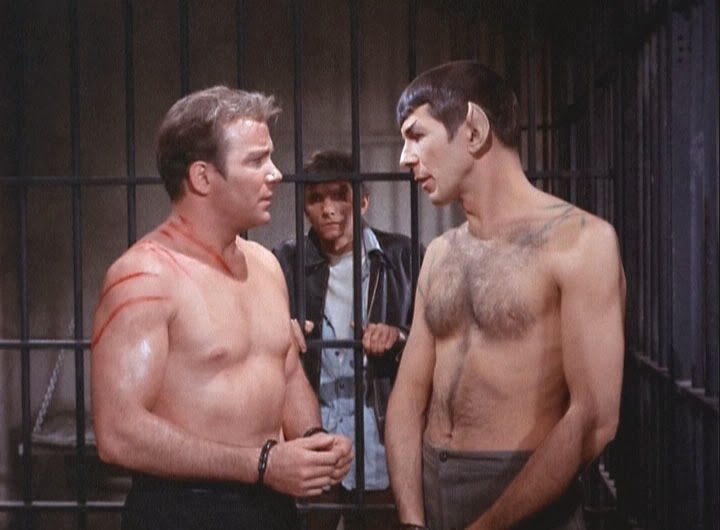 Hail, shirtless Kirk and shirtless Spock! 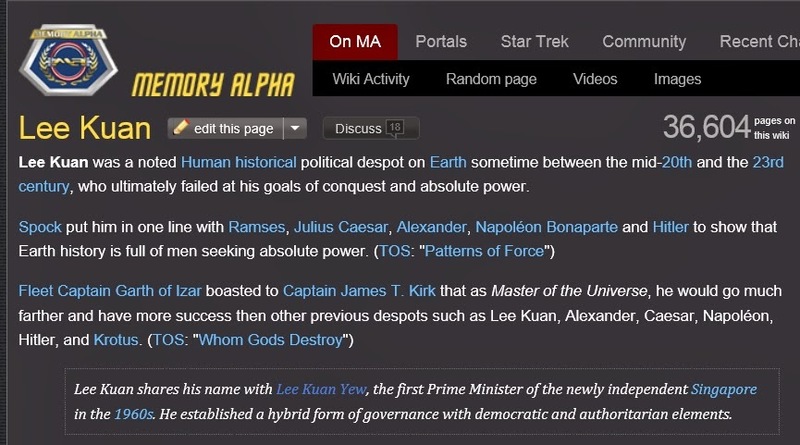 Lee Kuan Yew is also mentioned in the Star Trek wiki.